ALLAN, JOHN, office holder, politician, and rebel leader; b. 3 Jan. 1747 at Edinburgh Castle, Scotland, eldest son of William Allan and Isabella Maxwell; m. 10 Oct. 1767 Mary Patton; d. 7 Feb. 1805 in Lubec (Maine). 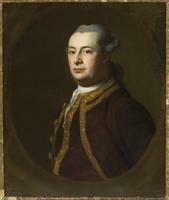 John Allan’s father, a Scottish officer in the British army, brought his family to Nova Scotia in 1749 or 1750. In the early 1760s William Allan received substantial grants from forfeited Acadian lands in Cumberland County. Farmer, merchant, and Indian trader, he remained loyal to the crown during the unrest which troubled Nova Scotia in the late 1760s and early 1770s. 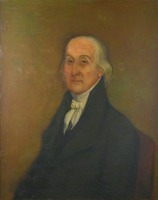 John worked with his father both on his farms and in his trading business, married, acquired a farm of his own, and in time held offices which included justice of the peace, clerk of the sessions, clerk of the Supreme Court, and sheriff; in 1775–76 he served as member of the House of Assembly for Cumberland Township. Allan may have been educated in Massachusetts. Whether there or elsewhere he had certainly acquired revolutionary sentiments and a number of New England ties. In 1775 and 1776 he became increasingly involved with Jonathan Eddy and others in organizing and propagandizing for revolution his discontented neighbours. He was one of those disaffected Nova Scotians who, early in 1776, urged Massachusetts and the Continental Congress to send military assistance for a projected rising. When help did not come and with arrest imminent, on 3 Aug. 1776 Allan left his wife and five children at his Upper Point de Bute farm and crossed the Bay of Fundy with other refugees, reaching Machias (Maine) on 13 August. Shortly afterwards, the Nova Scotia Council offered a reward of £100 for his capture. Allan arrived in Machias just as Eddy was about to leave on his ill-starred expedition against Fort Cumberland (near Sackville, N.B.). This project Allan considered futile, dangerously under-equipped, and, with only 28 men, undermanned. His efforts to dissuade Eddy failed. At Passamaquoddy Bay and the Saint John River (N.B.) the small force, which Allan did not join, added a few more men, attacked British or loyal installations and ships, and did some property damage; in November it made a vain attempt to take Fort Cumberland. Among those who suffered as a result of the expedition’s failure were Allan’s wife and children, who were driven to the woods. Mrs Allan was imprisoned, Allan’s farm was burned, and his crops, horses, and cattle were destroyed or confiscated. Meanwhile, Allan had left Machias for Boston, where he discussed with John Adams and others aid for those eastern Indians whom he had been trying to bring actively to the support of the revolutionary cause. He went on to George Washington’s headquarters on the Delaware and again presented his case. In January 1777 he was received by the Continental Congress in Baltimore, Md, and informed it at length about the possibilities of organizing the Indians and about the Nova Scotian situation. Here he had some success. He was appointed superintendent of eastern Indians and later made an infantry colonel. On his return journey he was able to interest the Massachusetts government in his plan to take western Nova Scotia and perhaps Halifax, to establish forts on the Saint John, and to conduct from there an agency which would bring the Micmacs and the Malecites over to the American cause. In March, after more prodding from Allan, the Council agreed to provide men and supplies for an expedition to the Saint John, of which Allan eventually received the command. The expedition of June and July 1777 had little more success than Jonathan Eddy’s. Military stores and recruits were slow in coming in; in the end, under a hundred men took part. The people of the Saint John, with some exceptions, were either loyal to the crown, like the merchants William Hazen, James Simonds*, and James White, disappointingly aloof like the formerly pro-revolutionary inhabitants of Maugerville [see Israel Perley], or wavering as were the Acadians and Indians. Reaching the mouth of the river on 2 June, Allan proceeded upstream and made his headquarters at the main Indian camp, Aukpaque, above St Anne’s Point (Fredericton). Here he had promises of support from such pro-rebel chiefs as Ambroise Saint-Aubin* but met hostility or doubt from others, among them Pierre Tomah*. The arrival of a British naval force, with troops under Major Gilfred Studholme* and later reinforcements under Michael Francklin*, made Allan’s position untenable. Taking most of the Saint John Indians with him, he made a difficult retreat by an old canoe route to Machias. They arrived in August to find Eddy there with reinforcements for the Saint John expedition, and a town preparing for a British attack. When the attack finally came, from a squadron commanded by Sir George Collier*, Allan and his Indian allies played a significant role in what was, in spite of some damage, a successful defence. Allan was made commander of forces east of the Penobscot River, an office he held to the end of the war. Probably in June 1778 he was reunited with his family. From the summer of 1777 to the end of 1783 Allan was occupied in a continuous effort to keep the eastern Indians from joining the British in the face of increasing military and naval pressure, made more effective by Brigadier-General Francis McLean*’s seizure of Penobscot (Castine, Maine) in 1779 and by Francklin’s campaign for Indian support. Bombarding Massachusetts and the Congress with letters requesting badly needed supplies, often without success, meeting with the Indians and acquiring a French priest for them, countering Francklin’s lures, Allan sometimes despaired. In the end, if he did not get much aid from the tribes, he succeeded in keeping most of them from giving effective assistance to the British. As commander at Machias, Allan had other tasks, many aimed at keeping the British out of eastern Maine. By the last years of the revolution, Allan was becoming increasingly concerned about the future of the area he now knew so well. As early as 1779 he had expressed his belief that the British planned to keep all of Maine to the Kennebec. He was apparently the first from the American side to realize fully that the country between the present St Croix River and the Magaguadavic – now part of New Brunswick – might pass, as he saw it, illegally, to the British. In 1778 he had reported the settlement of “the disaffected” at Passamaquoddy. By the fall of 1783 he was alarmed at the arrival of loyalists at what is now St Andrews, N.B., warning both the settlers there and the American authorities that this was really United States territory. In the 1790s he played a role in the boundary negotiations he had helped to initiate. The last 20 years of his life were spent, first at Dudley (later Allan’s, now Treat) Island near Lubec, where in 1785–86 he ran a rather unsuccessful trading business, numbering among his customers Benedict Arnold, and then at North Lubec on the mainland. 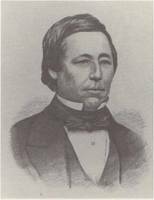 He petitioned, successfully but not very profitably, for land grants in Maine and Ohio, took an active interest in Indian, town, and national affairs, and remained concerned about the boundary. After a period of increasingly ill health, he died in 1805. John Allan’s contribution to the revolutionary cause was substantial. He has been called a man of integrity and intelligence, with executive ability, foresight, and sagacity. His persistence under difficulties and his loyalty to his adopted country were noteworthy. He had much to do with the retention of eastern Maine for the United States. John Allan is the author of “Some proposals for an attack on Nova Scotia, with some other observations respecting the province, laid before the honorable council of the Massachusetts State,” N.S. Hist. Soc., Coll., 2 (1881): 11–16. Mass., Dept. of the State Secretary, Arch. Division (Boston), Mass. arch., 144: 169, 175–76, 198; 166: 29; 181: 163–67; 186: 82–84; 187: 427–28; 197: 104, 139–40, 164; 201: 172–74 (transcripts at PANS). Mass. Hist. Soc., John Allan, corr, 1778–1803. PANS, RG 1, 136: 163; 212, 17 Nov. 1776; 222, no.4; 362, docs.92, 94 (transcripts). American arch. (Clarke and Force), 4th and 5th ser. “Calendar of papers relating to Nova Scotia,” PAC Report, 1894. Documentary history of the state of Maine, ed. William Willis et al. (24v., Portland, Maine, and Cambridge, Mass., 1869–1916), 14–21. Military operations in eastern Maine and N.S. (Kidder). DAB. J. H. Ahlin, Maine Rubicon: downeast settlers during the American revolution (Calais, Maine, 1966). Brebner, Neutral Yankees (1969). H. A. Davis, An international community on the St. Croix (1604–1930) ([2nd ed. ], Orono, Maine, 1974). C. A. Day, “Colonel John Allan” (unpub. paper, Univ. of Maine at Orono, ). R. I. Hunt, “British-American rivalry for the support of the Indians of Maine and Nova Scotia, 1775–1783” (ma thesis, Univ. of Maine at Orono, 1973). W. B. Kerr, The Maritime provinces of British North America and the American revolution (Sackville, N.B., [1941? ]; repr. New York, ). G. A. Rawlyk, Nova Scotia’s Massachusetts: a study of Massachusetts-Nova Scotia relations, 1630 to 1784 (Montreal and London, 1973). Raymond, River St. John (1943). Howard Trueman, The Chignecto isthmus and its first settlers (Toronto, 1902; repr. Belleville, Ont., 1975). G. H. Allan, “Sketch of Col. John Allan of Maine,” New-England Hist. and Geneal. Reg. (Boston), 30 (1876): 353–59. D. C. Harvey, “Machias and the invasion of Nova Scotia,” CHA Report, 1932: 17–28. Anne Molloy, “Col. John Allan, a hero for Maine,” Down East (Camden, Maine), 13 (1966–67), no.10: 33–37, 64–66. Alice R. Stewart, “ALLAN, JOHN,” in Dictionary of Canadian Biography, vol. 5, University of Toronto/Université Laval, 2003–, accessed April 21, 2019, http://www.biographi.ca/en/bio/allan_john_5E.html.